Up to 55% off on 14-28 night stay on specific dates! 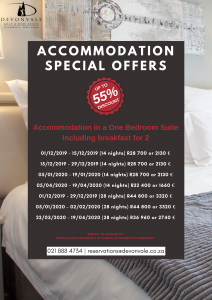 Accommodation in a One Bedroom Suite inclusive of full hot & cold breakfast. Signature spa treatment (90 min coffee package) at True Oasis Boutique Spa at Devonvale. 1-day MTB permit for Bottelary Hills Conservancy including a map. 14 Nights – 3.400 € for 2 Includes: Accommodation in a One Bedroom Suite, breakfast, welcome basket, welcome drink, welcome dinner, 30min massage & unlimited golf at Devonvale. 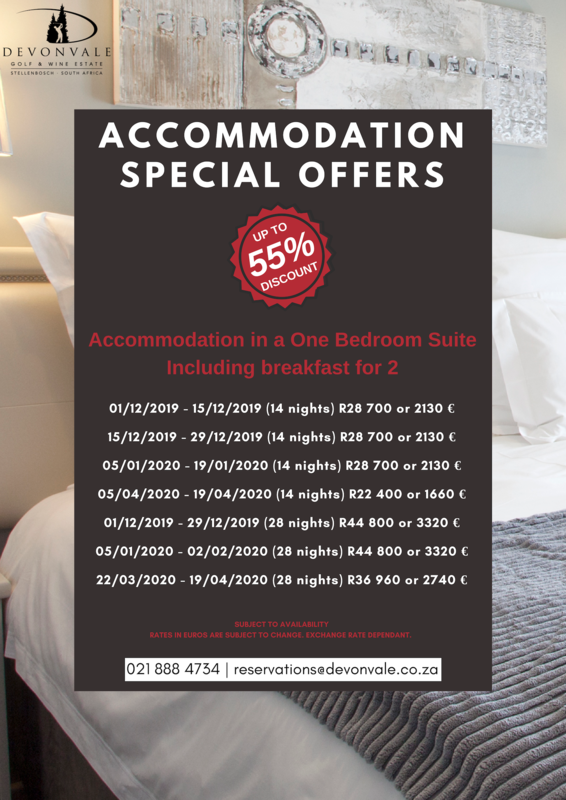 28 Nights – 5.200 € for 2 Includes: Accommodation in a One Bedroom Suite, breakfast, welcome basket, welcome drink, welcome dinner, 30min massage, unlimited golf at Devonvale & a game drive at Aquila Private Game Resort. 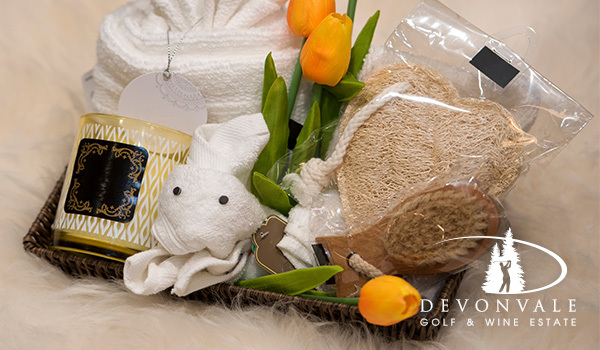 3 Months – 12.000 € for 2 Includes: Accommodation in One Bedroom Suite, breakfast, welcome basket, welcome drink, welcome dinner, 30min massage, unlimited golf at Devonvale, a game drive at Aquila Private Game Resort & full membership at Devonvale. 14 Nights – 4.000 € for 2 Includes: Accommodation in a Holiday House, welcome basket, welcome drink, welcome dinner, 30min massage & unlimited golf at Devonvale. 28 Nights – 5.800 € for 2 Includes: Accommodation in a holiday house, welcome basket, welcome drink, welcome dinner, 30min massage, unlimited golf at Devonvale & a game drive at Aquila Private Game Resort. 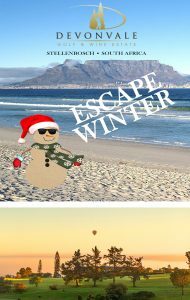 3 Months – 12.200 € for 2 Includes: Accommodation in a Holiday House, welcome basket, welcome drink, welcome dinner, 30min massage, unlimited golf at Devonvale, a game drive at Aquila Private Game Resort & full membership at Devonvale.